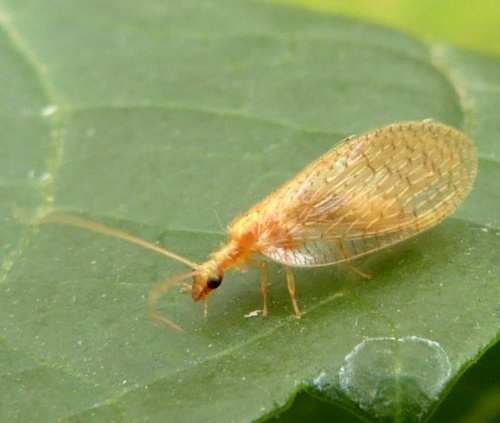 One of many similar brown lacewings. Detailed examination is necessary to arrive at a safe id. It has wings which are quite yellow in colour and which have dark dashes on some longitudinal veins, not dots as in some similar species. This species is associated with deciduous trees, especially especially mature oaks, and feeds on aphids. Fairly frequent in Leicestershire and Rutland. 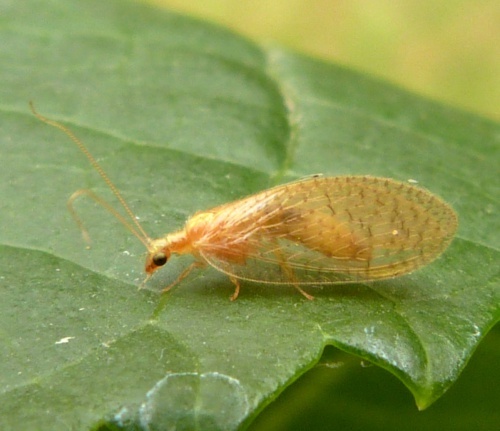 There were approximately 18 validated records for this species according to the 'Checklist of Neuroptera and allies in VC55' published in 2018.